Students of Arthur Gary School Support Animal Refuge League! GIANT thanks to all the students at Arthur Gary School of Real Estate! 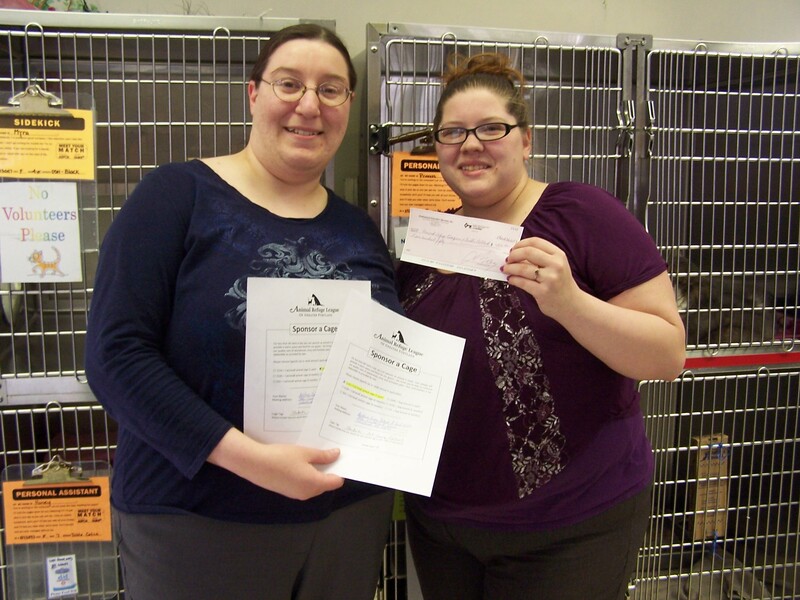 With your help we have donated $450.00 to the Animal Refuge League of Greater Portland! We are sponsoring a cat condo and a dog kennel for a year with your donations. Office staff Shelli-Jo Pelletier and Jesse Mitchell take the Arthur Gary School of Real Estate donations to the Animal Refuge League of Greater Portland! Posted in AGSRE News. Tags: AGSRE, animal refuge league, Arthur Gary, Arthur Gary School of Real Estate. Comments Off on Students of Arthur Gary School Support Animal Refuge League!